The novel opens up on the day that Katniss and Peeta are to start a "Victory Tour" of the country. That day she is visited by President Snow, who explains that he is angry with her for breaking the rules at the end of the last Hunger Games, which permitted both Peeta and Katniss to win. Snow tells Katniss that when she defied the Capitol, she inspired rebellion in the districts. The first stop on the Victory Tour is District 11, the home of Katniss's friend and ally in the Hunger Games, Rue, who died in the Hunger Games. During the ceremony, Katniss delivers a brief speech to the people of District 11, thanking the families of Rue and Thresh and going on to thank District 11 for the bread. When she is done, an old man whistles the tune that Katniss used in the arena to tell Rue that she was safe. The song acts as a signal and everyone salutes Katniss, using the same hand gesture that she used to say farewell to Rue. The man who whistled was brought up to the stage and shot in the head. Leaving District 11, Katniss and Peeta proceed to travel to all of the twelve districts and the Capitol. During an interview, Peeta proposes to Katniss publicly, hoping to settle the dispute between Katniss and President Snow and calm the growing rebellion. Despite this, Katniss learns that their attempts of subduing revolt in the districts haven't worked. Shortly after returning to District 12, Katniss encounters two runaways from District 8. They explain their theory that District 13 was not wiped out by the Capitol, contrary to what the other districts have been led to believe, and that many of its residents survive in underground shelters. Later, it is announced that, for the 75th Hunger Games, 24 victors from previous years will be forced to compete once again. This is the third occurrence of the "Quarter Quell": an event that occurs every 25th year of the Games and allows the Capitol to introduce a twist. Knowing that she and Peeta will both be competing in the Games a second time, Katniss decides that she will devote herself to ensuring that Peeta becomes the Quarter Quell's victor. However, Peeta is devoted to protecting her. During the Games, set in a jungle with a saltwater lake, Katniss and Peeta join up with two other previous victors: Finnick Odair, a 24-year-old man who survived the Games at the age of 14, and Mags, Finnick's 80-year-old mentor, both from District 4. After Mags's death, Katniss, Peeta and Finnick join forces with Johanna Mason, a sarcastic and often cruel victor from District 7, and Beetee and Wiress, an older couple from District 3 who are said to be "exceptionally smart". Wiress soon proves her genius by revealing to Katniss that the arena is arranged like a clock, with all of the arena's disasters occurring on a timed chart. After Wiress is killed, Katniss learns of Beetee's plan to harness lightning in order to electrocute two other contenders. In the final chapters, Katniss directs the lightning at the force field that contains the arena, which destroys the arena and results in her temporary paralysis. When Katniss wakes up, she is being transported to District 13, joined by Finnick, Beetee, and her mentor, Haymitch Abernathy. She learns that Peeta and Johanna have been captured by the Capitol, and is informed that there had been a plan among most of the contestants to break out of the arena - Beetee had been attempting to destroy the force field in the same way that she did. This plan was thought up by Plutarch Heavensbee, the head Gamemaker, and also a leader in the rebellion. The book ends when Katniss's best friend, Gale, comes to visit her and informs her that, though he got her family out in time, District 12 has been bombed and destroyed. Finnick Odair - one of District 4's loved Hunger Games victors. Like Katniss, he's good fighter, and is also handsome and charismatic. Finnick had help from the outside and used it to his advantage. If there's anyone who could win the Quarter Quell against Katniss or the highly trained tributes from District 1, it's probably Finnick. Finnick is a contradiction: one of the youngest and most innocent people ever to win the Games, he now seems to be trying to forget about it by throwing himself into a life of extravagance. While Haymitch used alcohol to forget the past, Finnick has lost himself in high-style Capitol living. He has a scandalous reputation in the Capitol as someone who knows – and sleeps with – everybody (you find out later the Capitol forced him into prostitution). When Katniss first meets him, he comes off as a total sleazeball. However, in the arena, he turns out to be a great ally. He transforms from a guy attempting to seduce Katniss with sugar cubes to tough fighter and a good strategist who always seems to have Katniss' back. Finnick also has hidden depths. He loved his mentor, Mags, like family, and had to watch while she sacrificed herself in the arena to save him, Katniss, and Peeta. What's more, Mags had already sacrificed herself just to be in the arena, by taking the place of Annie, the woman Finnick is in love with. By the end of the Games, Finnick is very depressed. He's had to watch his friends and mentor die, and he's had to endure the emotional torture of imagining Annie in pain. When he and Katniss are pulled out of the arena and away from the Capitol, Annie is nowhere to be found. She's in danger back at home, just like Peeta is in danger in the Capitol. "...Finnick Odair's famous sea green eyes are only inches from mine" (208). "Tall, athletic, with golden skin and bronze colored hair and those incredible eyes (208). Johanna Mason - Johanna is a loose cannon. You never know what she's going to do, and you're never sure if you should trust her. Like all of the other Hunger Games victors we get to know, Johanna's had a rough time. She talks about how she doesn't have anyone she loves, so the jabberjays that speak with the voices of family and friends can't hurt her. She implies that she's completely cut off from that sort of human contact. Usually that would be considered a sad thing; only in the arena would it turn out to be a good thing. During the Quarter Quell, Katniss finally gains respect for Johanna. In the beginning, Johanna pushes Katniss's (and the Capitol's) buttons. As Katniss puts it, it's hard to know if Johanna is "gutsy" or "crazy." Up until almost the end of the book, Katniss is mad that Johanna betrayed her and tried to kill her in the arena. She had though Johanna knocked her out, cut her in her arm, and left her for dead. It's not until the very end that Katniss finds out that Johanna was working to save her life. She did knock her out and cut her arm, but she was removing Katniss' tracker so no one could follow her after the escape from the arena. Johanna may or may not have liked Katniss, but she did try to save her life, and we all know Katniss does not like owing people. Beetee - a District 3 victor who won the Hunger Games long ago. He's a genius with technical gadgets and devices. Katniss is amazed by his intelligence. Since his last at the Hunger Games, he's gotten smarter, but he's also grown older and weaker. He's injured early on in the Quarter Quell, when he attempts to get his hands on a special weapon, and again later when he tries to use it. He's not a fighter anymore and can't really defend himself against the enemy the way Finnick, Johanna, and Katniss can. They need each other if they hope to survive.Things get more complicated when we learn that the reason Beetee knows so much about the weapon he risks his life for is that he's the one who created it. He's part of the rebels' plan to bust out of the arena. Katniss didn't know this when she wants him as a potential ally. Plutarch Heavensbee - is the new Head Gamemaker for the Quarter Quell. It's tough to take up that position after the last guy was executed for permitting both Katniss and Peeta to live, but Plutarch doesn't seem to have a problem with it. And his arena is even more lethal than the one from the previous Hunger Games. Plutarch's inventions are so brutal that later I was surprised to learn that he is on the side of the rebels, and has been all along. If he's trying to save the Quarter Quell tributes, why did he have to go to such lengths to make the arena so deadly? To preserve his status in the Capitol and keep his cover intact? But Katniss would have realized that there was more to Plutarch than met the eye if she'd known to look for the signs. When she met with Plutarch at a grand event on the Victory Tour, he gave her a hint, which she begins to decipher once she's begun to understand the arena itself. The Hunger Games: Catching Fire is being released November 22, 2013, but the trailer was just released last month! I recognize almost everything in the trailer as scenes that actually came from the book. The actual trailer only shows about half of what comes from the movie. The other half comes from the actual games, but they can't show that Katniss goes back into the Hunger Games in the trailer because people who haven't read the book would be very confused, and it would ruin the surprise! One thing I notice that they are doing a little bit differently is that they are making Katniss more outspoken than she was in the book. For example, at the part in the trailer where the man is being dragged up on stage to be shot in the head, Katniss does not scream no, lunge forward, and have peacekeepers hold her back. Instead she stands there in shock and peacekeepers step in front of her, and it is Peeta who gets her out of there. However, making her more vocal is not necessarily a bad thing. Throughout Catching Fire and Mockingjay, I feel like Katniss loses herself, and becomes a weak and confused girl. Another thing in the trailer, and it was something they did in the Hunger Games movie, was the addition of another point of view. The viewer is able to see what goes on with, in this case, Plutarch Heavensbee and President Snow. The director adds this in so the audience has a better understanding of what is going on in the movie (if that audience member did not read the book). I got the idea of this when I was reading Blink. In Blink, it talks about how people can come of with conclusions within seconds of watching/seeing something, meeting someone, ect. Whether it is right or wrong, people form conclusions in their head. In Catching Fire, there are many times Katniss forms conclusions about people without actually knowing them. The two examples I am going to talk about are when she meets Finnick Odair and Plutarch Heavensbee. The first time she met Finnick was right before the chariot rides when he offered her a sugar cube. She immediately gets this creepy feel from him and she thinks he is cocky and one of the Capital's pets. She later finds out that he despises the Capitol, and they forced him into prostitution. On the inside he is very damaged. There is one part in the novel where Katniss remembers a poem Finnick read about love, and she thinks that it is probably some rich Capitol girl. Later, she finds out that he is actually in love with a woman from his own district, Annie, that went crazy after she won her Hunger Games. When Katniss first meets Plutarch Heavensbee, he shows her his watch (which has the mockingjay symbol on it). He goes on to talk about how it is one of a kind, ect. From this she thinks that he is just like everyone else in the Capitol and is obsessed with his possessions. However, she later finds out that he was giving her a hint to how the arena was going to be set up. Also, he wasn't like everyone else in the Capitol, but is a leader in the revolution against the Capitol. I guess we could say that Katniss isn't very good at making first impressions, for she thought wrong about both of them. 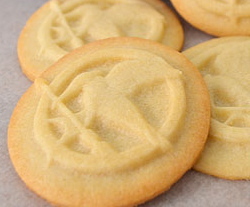 The Mockingjay - Katniss took a mockingjay pin with her into the arena with her during her Hunger Games. Since then, Katniss has been associated with the mockingjay. Now, however, it's taken on a life of its own, "My bird has been replicated on belt buckles, embroidered into silk lapels, even tattooed in intimate places. Everyone wants to wear the winner's token. I can only imagine how nuts that makes President Snow. But what can he do? The Games were such a hit here, where the berries were only a symbol of a desperate girl trying to save her lover" (78). What else could Katniss' mockingjay be a symbol of? Rebellion against the Capitol, of course. 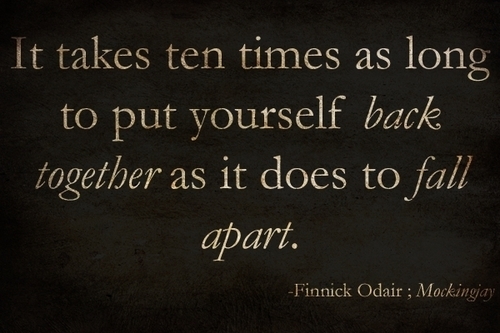 That's why, in the beaten-down districts of Panem, the mockingjay has more significance. The mockingjay starts to pop up everywhere. It's on the cracker that Bonnie and Twill hold out to show that they are against the Capitol. It's the sign that revolutionaries like Plutarch use to show that they are a part of the revolution. It soon comes to signify the revolution itself across the districts, even though the people in the Capitol may not recognize it as such, "A shadow of recognition flickers across Caesar's face, and I can tell he knows that the mockingjay isn't just my token. That it's come to symbolize so much more. That what will be seen as a flashy costume change in the Capitol is resonating in an entirely different way throughout the districts" (253). When Katniss' wedding dress changes into a mockingjay costume, it also strengthen the idea that she is the mockingjay, a view Plutarch confirms at the end of the book, "We had to save you because you're the mockingjay, Katniss ... While you live, the revolution lives" (386). The mockingjay, Katniss, and the revolution have all become one and the same. The Wedding Dress - Katniss' wedding dress is just another costume she puts on to please the Capitol. She didn't choose it (the people of the Capitol do), and it's for an event she doesn't even want to go to. This is only emphasized when her wedding is canceled because both she and Peeta will be going into the 75th Hunger Game, and only one of them can come out alive.However, the dress itself doesn't stay just a wedding dress. Cinna makes it resemble a mockingjay, which just further encourages the revolutionaries. The Arena - This arena, the tributes eventually figure out, is in the shape of a clock. Katniss describes the moment when she understands how it all fits together, "I can almost see the hands ticking around the twelve-sectioned face of the arena. Each hour begins a new horror, a new Gamemaker weapon, and ends the previous. Lightning, blood rain, fog, monkeys – those are the first four hours on the clock. And at ten, the wave. I don't know what happens in the other seven, but I know Wiress is right" (326). It's as though the arena is actually ticking away the last few minutes of their lives. Every hour, on the hour, the tributes face another danger that's designed to kill them – if they don't kill each other first. Everything about the arena is designed to reinforce the idea that they're not safe anywhere – at any moment they could die. Back in District 12, Katniss observed that you have to face your fears. In this arena, you have to outrun them. Throughout the novel, Katniss has many internal conflicts. The one we first encounter is Gale vs Peeta. She is constantly changing her mind about who she should be with. After the Victory Tour she decides that she would marry Peeta, afterall he is a great guy. But after she sees Gale getting whipped, she decides she wants to be with him. She asks him to run away with her, but when he realizes how many people she wants to bring along, he turns her down. She then goes and asks Peeta, however Peeta knows who she really wants. Her split feelings for the two get even worse in Catching Fire. Another internal conflict she faces is her life for Peeta's. She knows that for Peeta to win the Hunger Games, she has to do. However, for her whole entire life she has been a survivor, and it is hard for her to give up just like that. She knows what she wants, but the idea of leaving her family behind to fight for themselves haunts her. She ultimately decides that since Peeta helped save her in the first Hunger Games, she would save him in the second.